I was provided free products to facilitate this post. 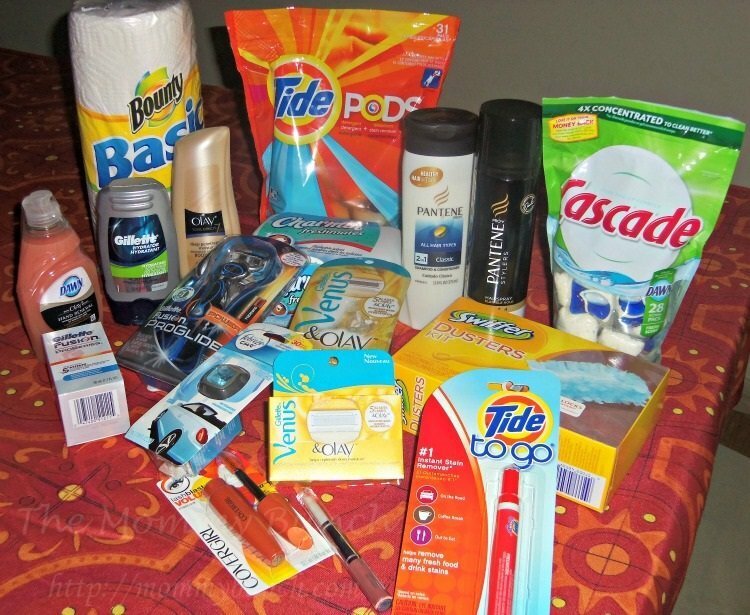 Recently, Proctor and Gamble sent me a sampling of their “most loved” products, and the selection I got was amazing. I have actually used several of these products before (they are the most-loved products after all), but there were a few things I hadn’t tried yet. My husband was really excited that he got a new razor, and he loves using the Swiffer dusters around the house. I was actually excited for a new razor as well because my old one has about seen it’s last day. Did you know that the people who bring you the award-winning brand Pantene® also make the award-winning brand Swiffer®? With hundreds of awards received from leading magazines, many P&G beauty, grooming and household care brands have cemented their iconic status as some of America’s “Most Loved”… try them and fall in love for yourself! Check your March 31 newspaper for the brandSAVER® coupon booklet for savings on some of P&G’s “Most Loved” products. And, be sure to join @SheSpeaksUp and @PGeveryday on Twitter for TWO rocking Twitter Parties – you’ll have lots of opportunities to win some of P&G’s award-winning products! P&G’s “Most Loved” brands being celebrated include: CoverGirl®, Olay®, Pantene®, Venus®, Gillette®, Bounty®, Cascade®, Charmin®, Dawn®, Febreze®, Swiffer® and Tide®. Join us on April 18 at 9 p.m. for the #PGmostloved Twitter Party! You’ll have the chance to win P&G’s award-winning products from some of your favorite beauty, grooming and household care brands. PreviousEnter the Good Cook Touch Treasure Hunt – $1000 in prizes!